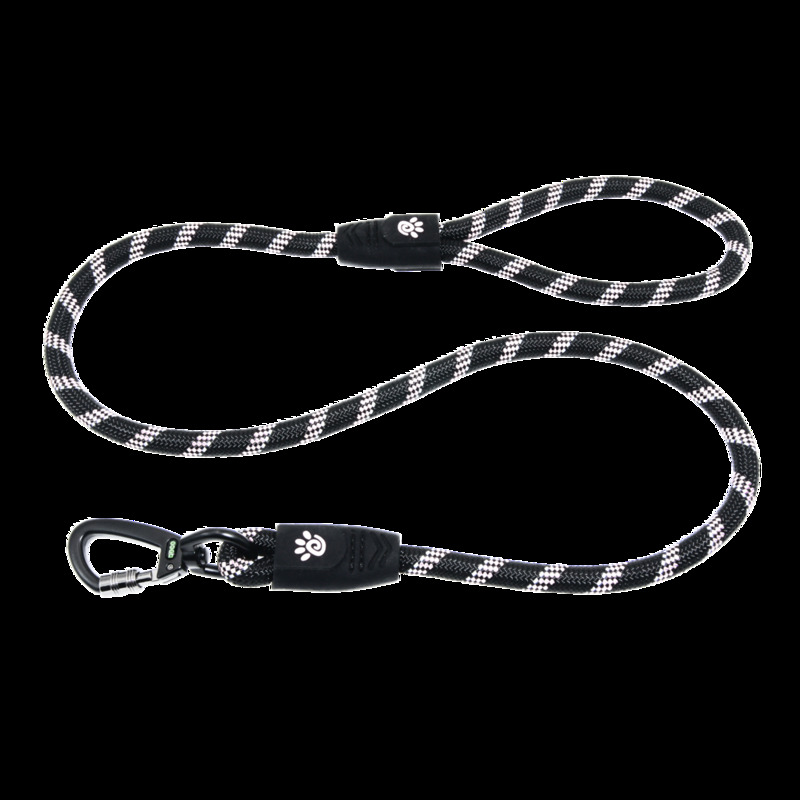 5ft Reflective Rope Leash with Soft Rubber Handle features soft rubber handles for comfort on the hand grip. Designed with our patented rope clip that is outstanding in design. There are reflective stitching throughout the rope that reflects the light for extra safety in darkness. Soft rubber handle gives comfort on the hand when walking the dog. Our four foot dog leads are a popular length, and a good choice for walking most dogs. This leash works well for basic obedience training of puppies, and young dogs.